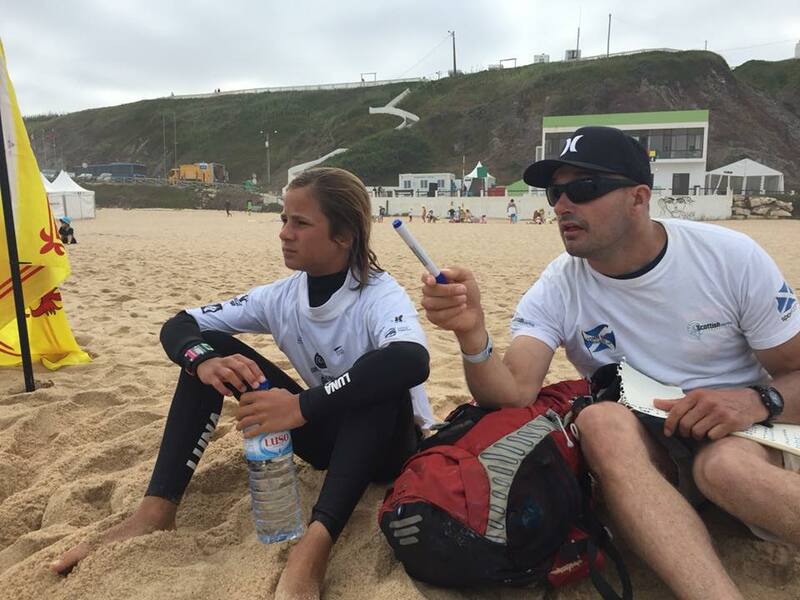 EuroSurf Junior 2018 took place in Santa Cruz, Portugal on the 20-29th of July. 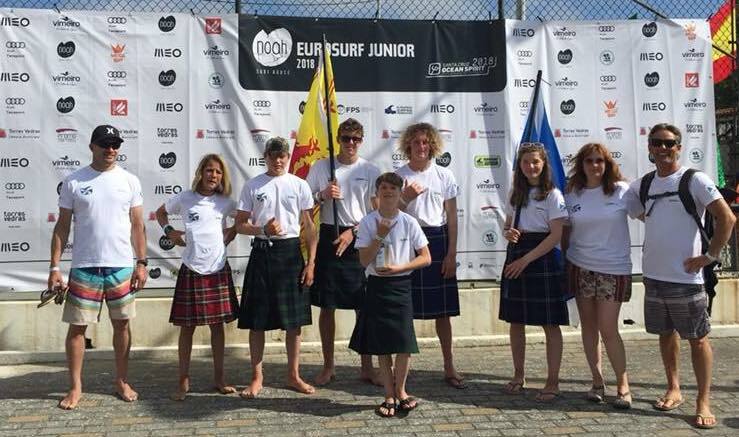 Team Scotland which comprised of Craig Sutherland (Coach), Ben Larg (TSC), Mikey Hall (DSC), Malcolm Todd (DSC), Craig McLachlan (NSSC), Finn MacDonald (TSC), Clover Christopherson (DSC), Marcelle Lockheart (Chaperone) and Martin Larg (Manager) fought it out against 16 other nations for the European Titles in the following divisions; U14 mixed, U16 Boys and Girls, U18 Boys and Girls shortboarding, Longboarding and Junior boys and girls Bodyboarding. 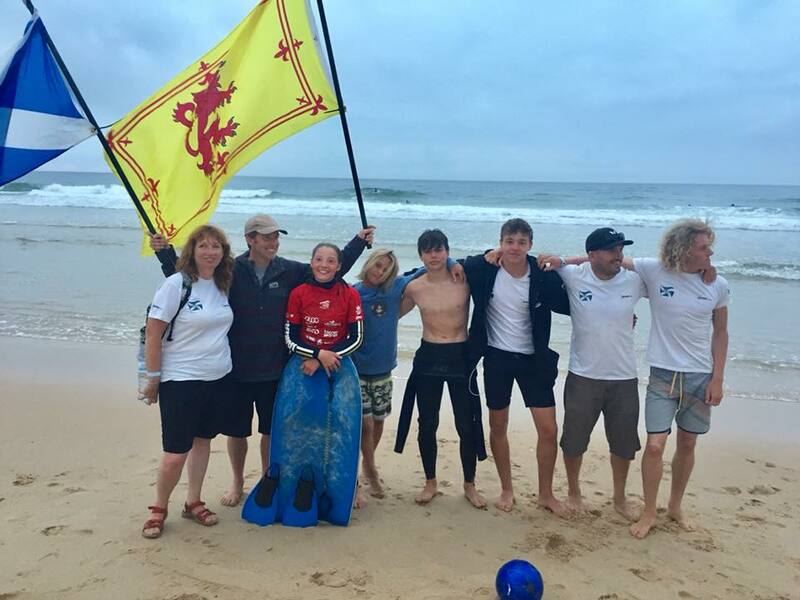 Team Scotland on the beach with Clover Christopherson (SCO) getting through another round on the Junior Bodyboard Girls.